This month’s Etsy shop review and giveaway hails from across the Atlantic, all the way from Brighton, England. 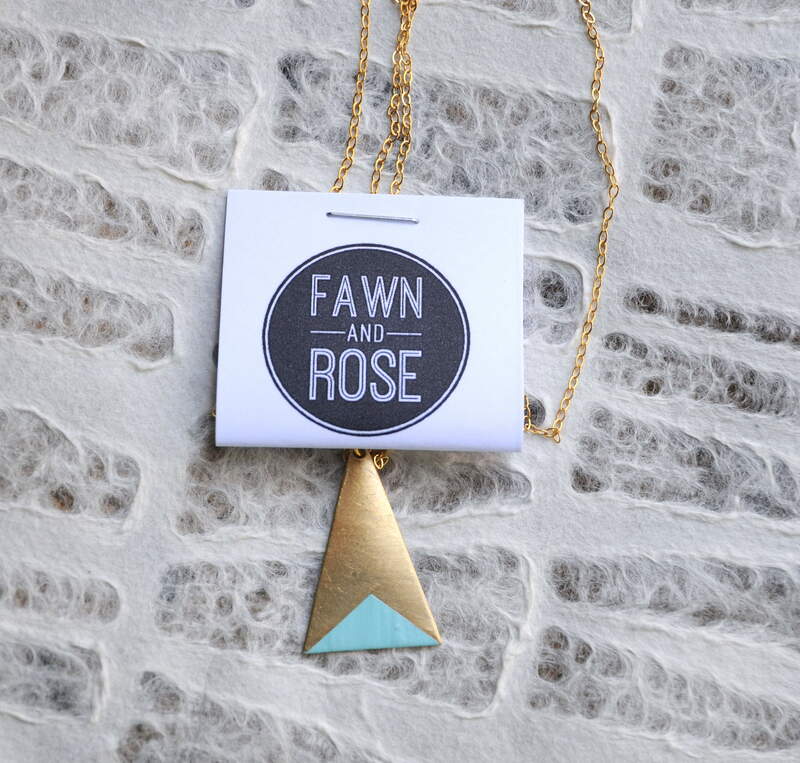 Although in the past I have put my focus on handmade in the USA, I couldn’t help but notice the very modern, clean, and trendy jewelry designs in Jess’ shop, Fawn and Rose. I discovered her jewelry during one of my endless, black holes of Etsy browsing. 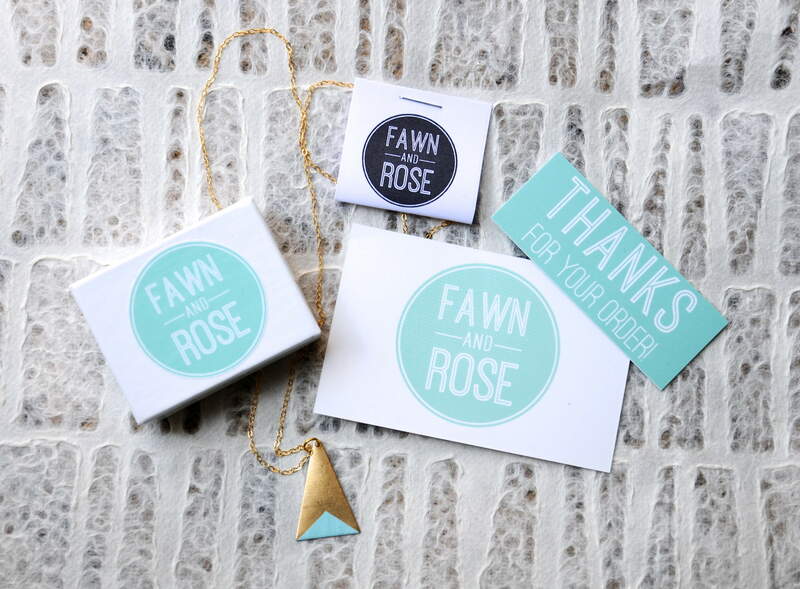 I immediately fell in love with the triangle shape, brass, and sea foam green necklace. As is typical of my Etsy loves, I bought it shortly after spotting it, and eagerly awaited it’s arrival. An order arriving from another country is a long wait, but it was well worth it. The necklace was exactly as it was pictured, and I loved it even more in person. 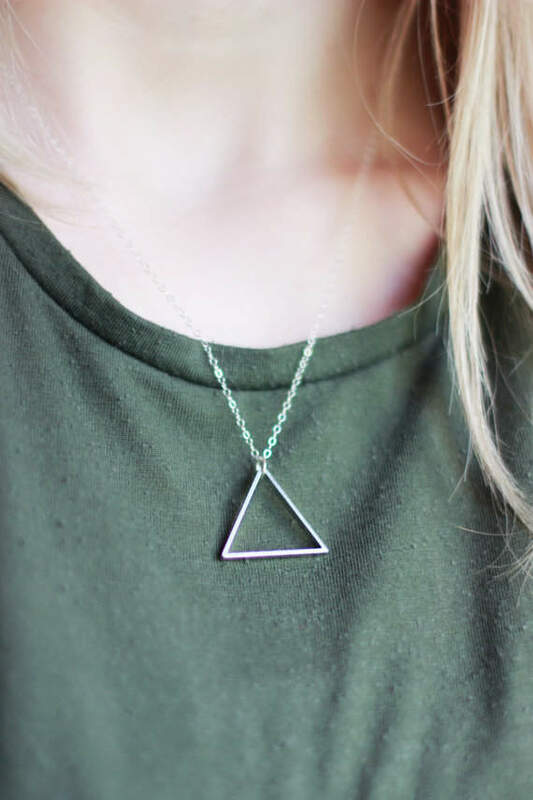 The clean design makes the necklace incredibly versatile. It can be dressed up or worn with jeans, and the neutral brass against the sea foam green creates a nice neutral palette with a subtle color pop, that goes with everything. In addition to her beautiful jewelry, her products are also nicely wrapped. To my surprise, as I opened the package, I discovered an adorable business card, thank you and 10% coupon card, a small jewelry box that contained my necklace, and a tag that all matched. Her logo is clean and memorable, much like her jewelry. she has a keen eye for creating and marketing, I’m not surprised by her current 662 Etsy sale count. I have already worn my necklace a handful of times since its arrival a week ago, and have already gotten many compliments. This necklace has already made its way into my regular jewelry rotation, it’s guaranteed to get a lot of wear in the coming years. 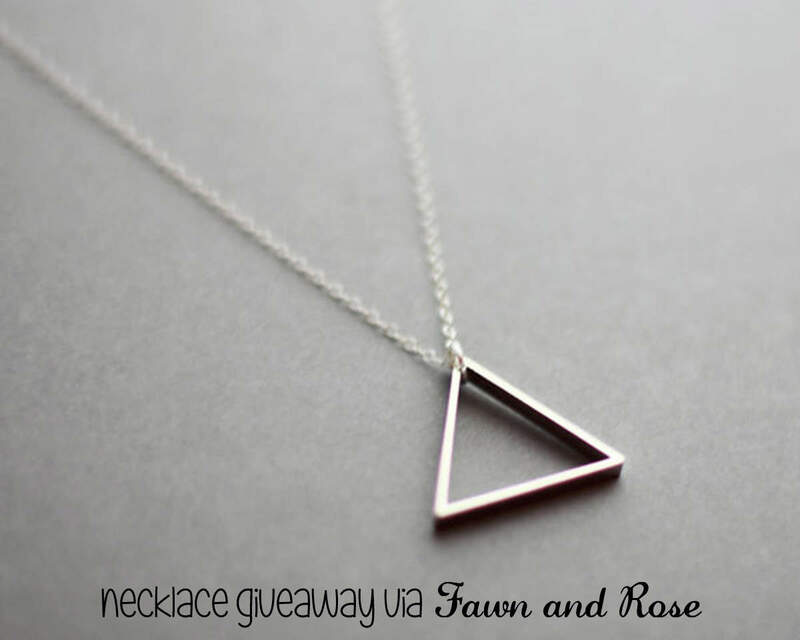 Jess has been incredibly generous and agreed to giveaway a silver triangle necklace to one of my lucky readers. Like the necklace I just bought, this necklace is very versatile and can be worn with a range of styles. This piece is a classic style with a modern twist. All you have to do to enter is visit Jess’ shop Fawn and Rose here, “like” your favorite item, and share a link to the item in a comment below. To receive a second entry visit my encaustic shop here or fused glass shop here, “like” your favorite item, and share in a separate comment below. To receive a third entry share this giveaway on your preferred social networking site and include a link to your share in a separate comment below.